Are you looking for a keynote sales speaker for your next event for a professional services or B2B audience? A speaker who will not only provide inspiration and motivation, but practical tips and tools on sales and client relationships that attendees can put into action straight away? The Business of Trust team are passionate about helping people build trust in business, and learning better and easier ways to ‘sell’. Where once you could get away with preparing your sales pitch and doing a hard sell, these days those tactics don’t differentiate you, position your services as a commodity, and make it harder and harder to get in the door. Now you must focus on building trust, and building it quickly. 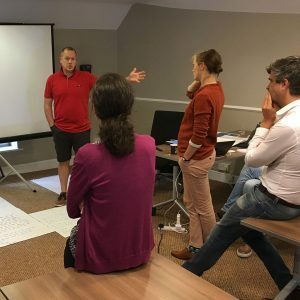 By the end of a presentation with Keith, Julien or Kathryn, audiences leave with a greater understanding of how sales has changed, what it takes to build trust quickly, and new ideas and skills that they can immediately implement on how to win work, without price being the most important deciding factor. increase the confidence of people to have broad and deep conversations, build relationships and ultimately win work. Raise their profiles and become a visible expert in the market through both online and offline tactics. You can see what topics we are most often requested to talk on here. See what previous clients have to say about their experience working with us as a speaker here. The Business of Trust team are available to speak at events both big and small – whether it’s a boardroom lunch, industry conference, client event or staff retreat. No matter the size, our events are always interactive, and participants will leave with actions they can immediately implement. Keith has given keynote presentations at conferences in Australia, New Zealand, South Africa, Germany, Hong Kong, Canada, and the USA. His speaking clients have included VWR International, Robert Walters, PwC, Deloitte, ICON (formerly APSMA), Consult Australia, the Queensland Law Society, Canadian Management Institute, the Strategic Account Management Association, the American Chamber of Commerce, and Allens. He most frequently presents on topics related to building a trusted organisation, the future of business relationships, relationship capital and building trust. Julien has given presentations and organised public conferences for industry associations such as Engineers Australia and the Australian Water Association. He’s also contributed to industry events such as the NPO Breakfast in Switzerland. For organisations, he’s contributed to onboarding programs, technical conferences, retreats and business strategy summits. He most frequently presents on topics related to the importance of trust in organisations, client centricity, how to evolve strongly technical careers, how to design higher impact meetings, the importance of Social Media. 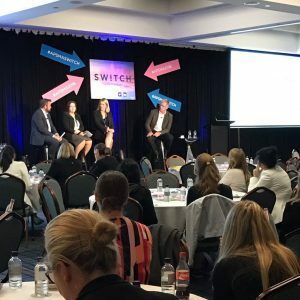 Kathryn has given conference presentations to clients in Australia and New Zealand including the Deloitte Advisory conference, ICON (formerly APSMA) Australia New Zealand Conference, ICON Queensland, BT Financial conferences and workshops, and Consult Australia events. 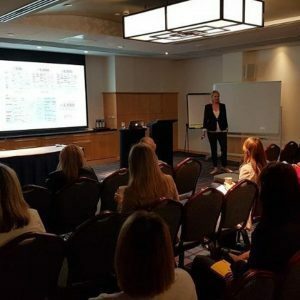 She has also delivered numerous half-day workshops as part of business retreats and team strategy sessions. She most frequently presents on topics related to: B2B marketing strategy, B2B marketing tech tools, becoming a visible expert, generating referrals by building your personal profile, building trusted relationships, and how to build a client centric culture. To enquire about engaging The Business of Trust for your next event, please submit the form below. By the end of the session, what value would you like your attendees to have received? Is this a paid or unpaid speaking request?